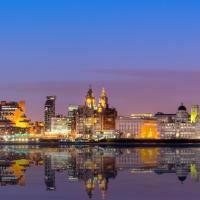 Discover Liverpool as you would if you were visiting a friend who lived there, someone who knows their city, and you, inside out! Whether you want to tick the most famous attractions off your bucket list or discover an off the beaten path local neighbourhood, your local will create a personalised experience just for you. See the highlights, immerse yourself in Liverpool's culture and live like a local for a day as you stroll through the city, stopping to enjoy the little things and indulge in authentic cuisine as well as visiting inspiring landmarks or famous attractions. 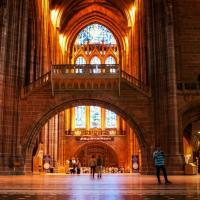 So ditch the guidebook, and with your host by your side to navigate, see the real Liverpool like a local. Visit the most iconic sights like the Liverpool Cathedral and Albert Dock, explore several neighbourhoods, discover hidden gems, and stroll through historic streets, immersing yourself in the culture. 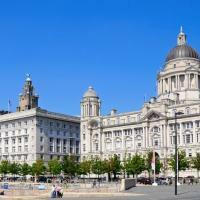 Indulge in the authentic cuisine that Liverpool is famed for and taste local delicacies throughout the day; enjoy lunch at a local pub, sip on a craft brew and stop for tea and biscuits in the afternoon, at hand picked places that suit your preferences, budget and dietary requirements. As well as visiting the places you most want to see, stop by local spots and places of interest along the way that your host recommends to get an authentic insight into local life in Liverpool. Your Local Host will also advise you on the best way to spend the following days of your trip, allowing you to discover other areas of Liverpool that you will love and revealing other hidden gems that they know you’ll love. 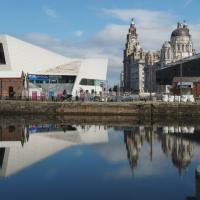 * See Liverpool's iconic attractions or off the beaten path spots - the choice is yours! * Eat and drink like a local, picking up street food from a market or stopping off at an authentic local pub. * Get tips and tricks from your local for other areas to explore and exciting things to do on the rest of your trip.